In linguistic typology, a null-subject language is a language whose grammar permits an independent clause to lack an explicit subject; such a clause is then said to have a null subject. 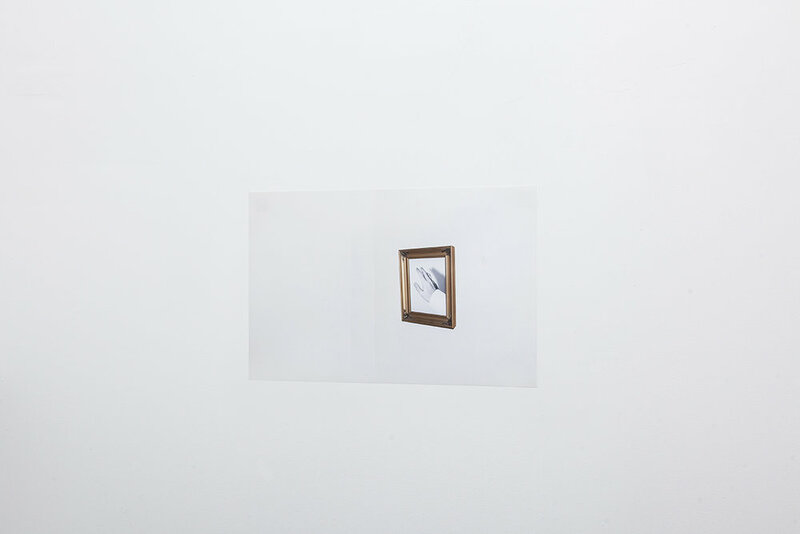 The second part of the series derives from a “null subject” an anonymous figure, being dissolved and rephotographed in different spaces and multiple times. The figure ceases to be the center of the image, and starts acting as a tool to depict fragmentation and disruption. In this way the photograph as an object comes forward and opens new layers of representation into the image plane. Superimposition of photographs and the repetitive pattern of ‘spaces within spaces’ suggest a new area between two and three dimensional representations and invites the viewer to question and position the main subject.